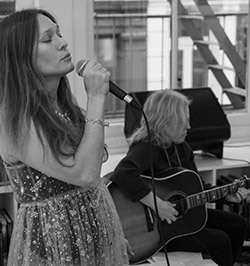 In celebration of the 75th birthday year of Joni Mitchell, the 50th anniversary of Woodstock and her ongoing 7-year celebration of the music of Joni Mitchell, singer and pianist Hannah Reimann presents a new staging of Mitchell’s work, BOTH SIDES NOW. Featuring Reimann as lead vocalist, pianist and dulcimer with guest instrumentalist Michele Temple (Pere Ubu) on guitar and backing vocals. Directed by Austin Pendleton. More information here.